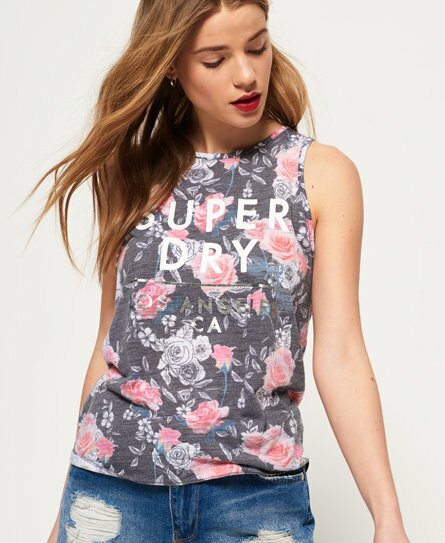 Superdry women’s Skater knot back tank top. Step into summer with this tank top. Featuring a large Superdry graphic across the chest and knot detailing on the reverse. The Skater knot back tank top is finished with a Superdry logo tab on the hem.